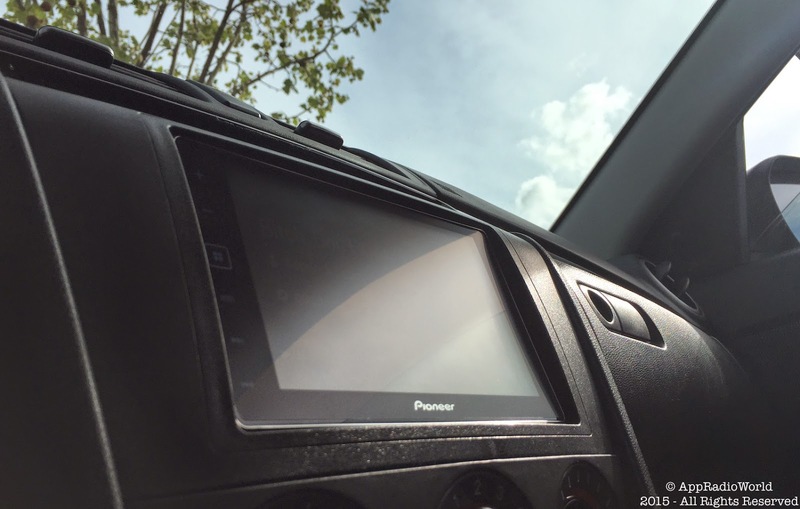 If you own a double-DIN head unit in your car (or any device with a glossy screen), you must have experience glare on a bright and sunny day. Most often the glare makes it impossible to read the screen. I used to hate not being able to see the screen on my Pioneer AppRadio 4 (SPH-DA120), especially when using navigation. But I managed to solve the glare problem quite successfully about 5 months ago with a DIY screen protector. I posted my experience and a short how-to guide here and that post has been quite popular ever since. Today, nearly 5 months later, I am happy to report that the screen protector still rocks and continues to keep the glare away along with a couple of other issues! Glass screens look classy, no doubt, but glare is a common problem. Along with glare, these screens are dust and fingerprint magnets. All these issues can be solved with a simple, matte-finish, anti-glare screen protector. Read my previous post on how you can achieve glare-freedom on your head unit for just a few bucks. I still recommend using this iCarez screen protector from Amazon. Have you installed one of these or similar screen protectors on your device? Shoot me a picture on Twitter (@AppRadioWorld) if you have, I'll be happy to feature it here.